How to protect your ASP.NET website from attacks on the Web Forms. Minimize the number of dangerous requests. How to protect your ASP.NET website from attacks on the Web Forms. Event message: A validation error has occurred. Exception message: A potentially dangerous Request.Form value was detected from the client (�����楛�䛍��������Ö����� [SKIPPED]. 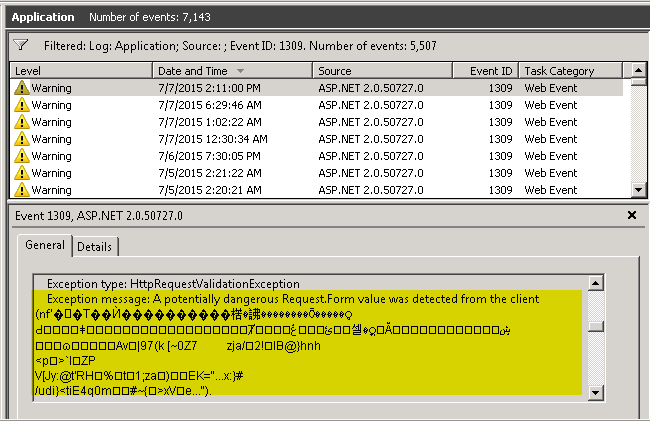 This means that someone is trying to get access to your server via asp.net web forms vulnerability. 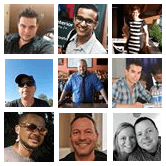 Even if you have all updates and patches installed, the server may still be at risk. Somewhat less important, but still significant, these hacking attempts abuse your server resources - CPU, RAM, Bandwidth and even the free disk space (the logs may grow enormously). 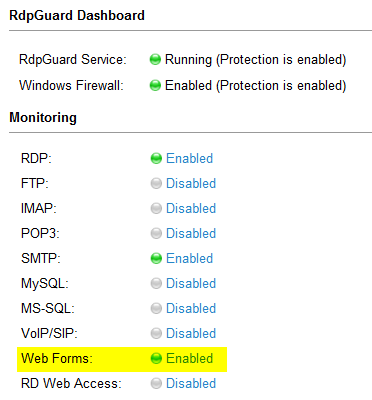 RdpGuard will help you to stop these hacking attempts and protect your Windows Web Server. Download RdpGuard to stop attacks on your ASP.NET Websites! 2. RdpGuard service will be restarted. 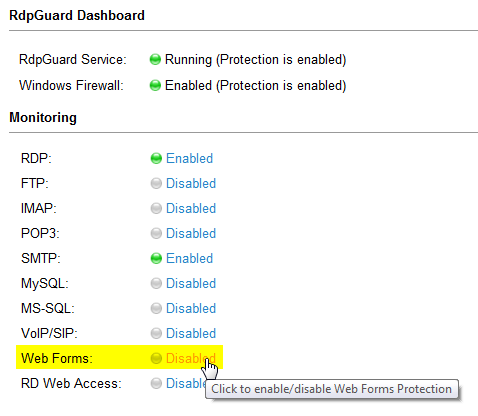 Web Forms protection status will be changed to Enabled.